Sharing in the Joy of giving life-changing gifts this year, looking after widows raising orphans in their distress with THE WAY HOME…join us in the journey to bring these families to thriving sustainable living. God planted a heart for Africa and a burden for it’s tremendous orphan population in both of us when we gave up our law and interior design careers in 2000, to follow His leading to Uganda. 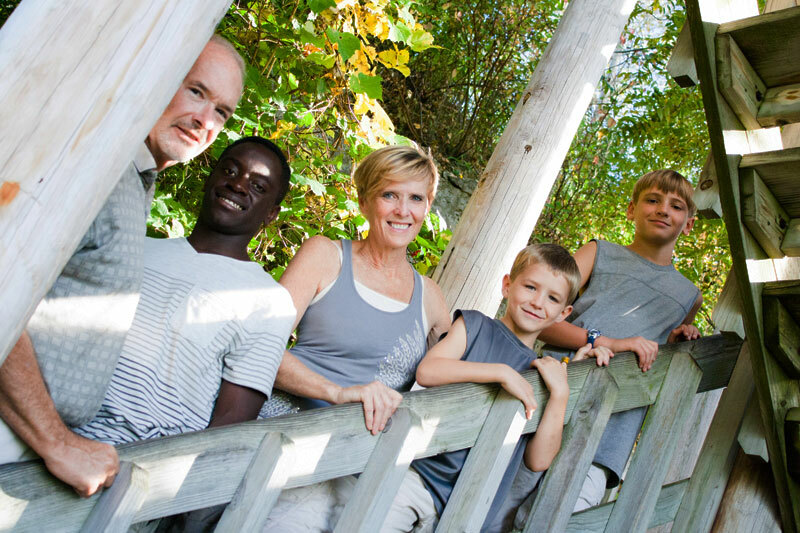 Before our nest emptied, after our youngest of 3 children graduated…God began to re-fill our nest by clearly calling us to adopt a 2 year old Ugandan orphan while we were missionaries there (from 2000-2004) …even though we were in our mid 40’s at the time. After 9 months of making sure this is what we were being called to do… WE OBEYED! He has brought much joy to our family. Fast forward now…8 more years…that’s right…that means during our mid-50’s!… God again made it clear that we were to adopt our 2 young grandsons at ages 1 and 6 when our daughter could no longer care for them. According to the order of a guiding verse in our lives…Matthew 7:7… We asked…God answered; We sought…we found purpose in what Jesus was doing in our lives through adoption; We knocked…and the Lord called us back to Uganda in 2010, now with personally prepared hearts for Grandparents who are struggling to raise their own grandchildren..in extremely destitute conditions. That is the short version of HISstory of the pre-field training God accomplished in our lives that put our own kinship family in perspective quickly and rooted, in us, an unquenchable desire to show many other orphans and their grannies, “The Way Home” just as He has shown us. Now don’t jump to conclusions…thinking that parenting young boys in our golden years and running a project in Africa is easy…it’s not. Obedience to God’s call is seldom easy, but living the dreams and plans He has for us, in the very center of His will for our lives, is the epitome of life’s fulfillment & reward. Honestly, it’s a wild ride most of the time…but, with God at the helm, we’re certain we’re the family He hand-picked to do it…because we just love hangin’ on for the ride with faith and great anticipation of the next turn! We believe God Himself, is the founder of The Way Home… after all, adoption and family are HIS idea! We are merely the co-developers He prepared and called to be His feet and hands to care for the least of these that are so close to His heart…and ours too. From that desire the project has grown quickly in just the first three years, to already be serving 55 grannies raising a combined 302 orphaned grandchildren…To our ‘Founder’ be all the Glory!